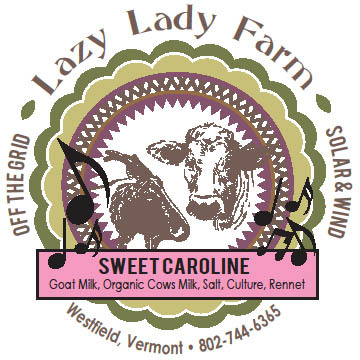 Lazy Lady Farm started in 1987 on barren land and in a small cabin. There was no electricity, no running water and no indoor plumbing. The farm was literally started from the ground up. So, “in the beginning”, we had 3 sheep, a goat named Blooper, and one acre of veggies. We operated with candles, gas lamps, and a car battery for running a radio. With every dime earned a nickel was put away to “grow the farm”. We produce our own hay using organic farm practices: composted manure, minerals, and supplements such as calcium, rock phosphate, gypsum, lime etc. 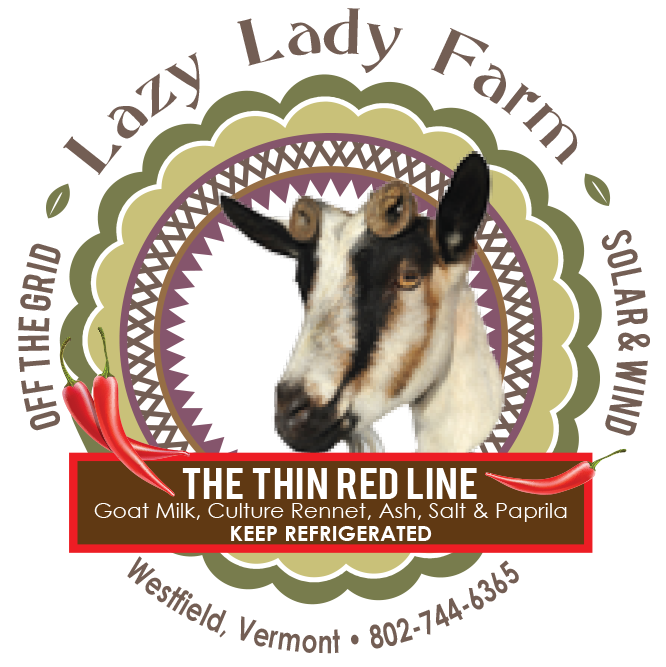 The goats graze on lush pastures from May to Nov. using rotational grazing. We feed non-GMO feeds, kelp, minerals, sunflower seeds, flax, and rolled oats. The non-gmo feed contains organic soy. Our herd is comprised of 40 registered Alpines and Saanens, with bloodlines coming in from out west to assure great milk production and great confirmation. 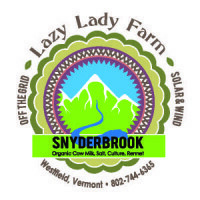 We also raise grass fed beef, whey fed pork which we sell at the Montpelier farmers market along with our great selection of cheeses. For many years the goats were milked by hand. We were up to 20 goats by the year 2000. At that point we doubled our solar capacity and were able to add a small vacuum pump to milk them with a machine. From 1987-1994 cheese was made in the kitchen. Our first licensed plant came in 1995. I am sure it was the smallest licensed plant in the country. 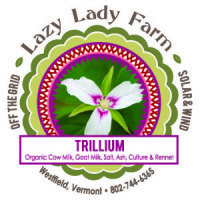 “Only in Vermont….” It was a 10 x 12 room where I made cheese in 5 gallon batches. We built a cheese cellar in 1996 where I could ripen cheese in a proper form and expand my line of cheeses. It was an exciting time. In 2003 I was able to procure my first real loan from the Vt. Community Loan Fund. With that injection of funds, we were able to build a larger plant capable of housing a 50 gallon cheese vat and producing cheese 5 days per week. In 2009 we added a second ripening cellar. The old cellar is used for aged natural rind cheeses, washed rind cheeses, alpine cheeses and blue cheese. The other is used for bloomy rind cheeses. Both of these cellars are geothermal. They are over 15 feet underground and maintain temperatures of 40 degrees in the winter and 55 degrees in the summer. My introduction to cheese making began in 1982, when I stumbled into France at a young and impressionable age. I remained in France for over 2 years working on various goat cheese operations and sheep farms and trying to taste all of the hundreds of varieties of cheese that France is so proud of. This road trip to France changed my life. 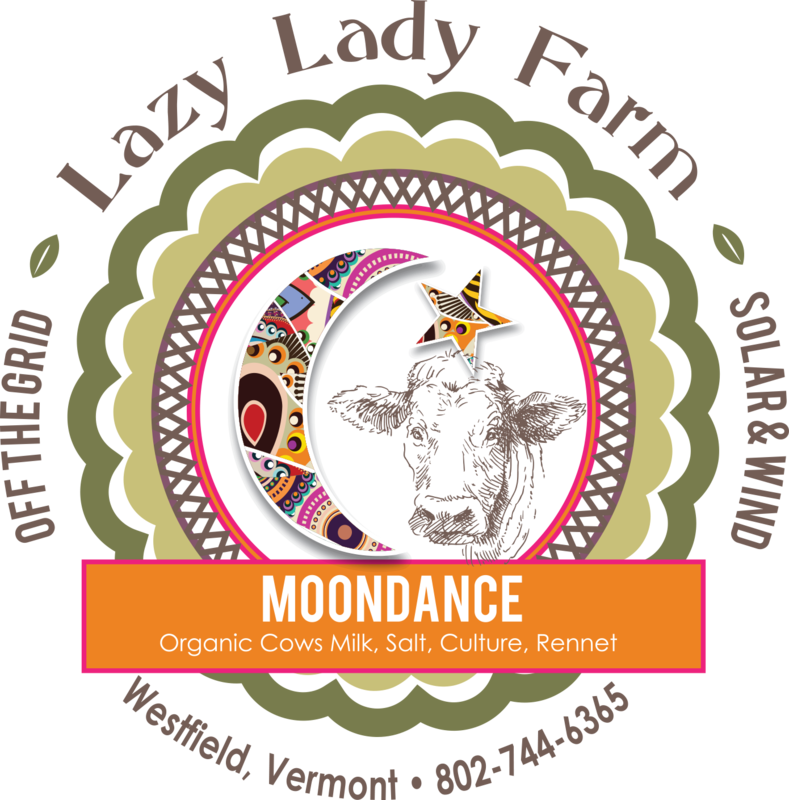 Lazy Lady Farm produces a large variety of cheeses for many reasons. One is because I have such fond memories of the cheeses I enjoyed in France. Another reason is because of my curiosity. An underlying pulse to some of the cheeses is due to my addiction to politics and political figures. I can’t resist creating a cheese to fit a politician or a political topic. Intermingled in all of that are the environmental factors of the farm, cheese room and cellar. Certain cheeses can only be made at certain times of the year, where it is enhanced and made possible by the external conditions. Lazy Lady Farm consists of myself and Barry. 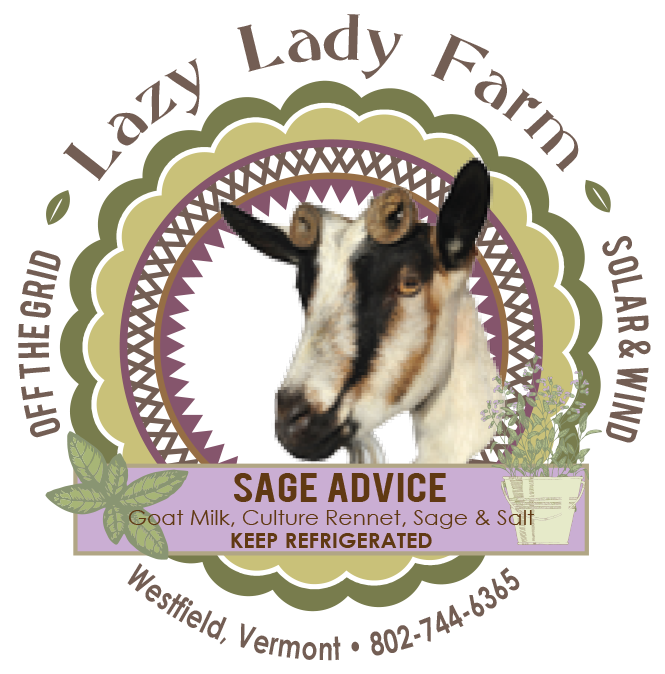 We employ 2 full time workers from the area and one part time person who comes 2 days per week to clean the barn, and to pet the goats and the dog. We believe in trying to create a couple of good paying jobs to help support our community. We all work very hard to produce the best we can. Thank you for your interest in our products. Please visit our website to learn more about and the animals. This is a winters cow milk cheese made with organic cows milk. It is ripened 6 to 8 weeks and brushed 2 times per week. B.Linens are added to the milk thus creating a soft ripened rind with the frequent brushing. 8-10 oz. Supple, texture, sweet almond flavor as the cheese is brined in vodka and amaretto liquor. 4oz lactic goat cheee with an ash coated rind made of a blend of geotrichum/p.candidum. There is a thin middle layer of smoked paprika to add a bit of zip. This same cheese is sometimes offered as a mixed milk cheese. 2lb raw milk 60 day goat milk cheese. It has a brushed natural rind with sage added to the curd before hooping. Delcicate and mild. 1.25lb cheese made with jersey milk and ripened for 4 – 5 weeks. It is washed weekly with a coffee bean-infused vodka. Supple with small holes and a lot of flavor.